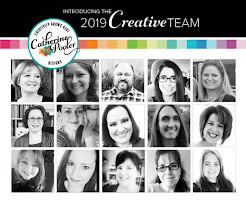 It's almost time for Catherine Pooler's All The Trimmings to hit the store and today we're celebrating with a blog hop. I've had so much fun creating with this release. The stamps, the dies, the inks, the papers, the sequins... they are ALL incredibly beautiful and fun. They'll be hitting the store on Wednesday, October 17th BUT if you're a StampNation member then you'll get early access to purchase today at 3pm EST. I've got 4 to share with you today. I started by stacking the word sentiments to form a tree and stamped them in Midnight ink onto watercolor paper. Next I added some ink to a block and with an aqua pen I did some 'watercoloring'. I distressed the edges with some scissors, poked a couple holes in the trunk of the tree to put some twine through and tied a bow. I added the panel to the designer paper with craft foam for dimension but before adding the designer paper to the card base I die cut a piece from the center for the next card. 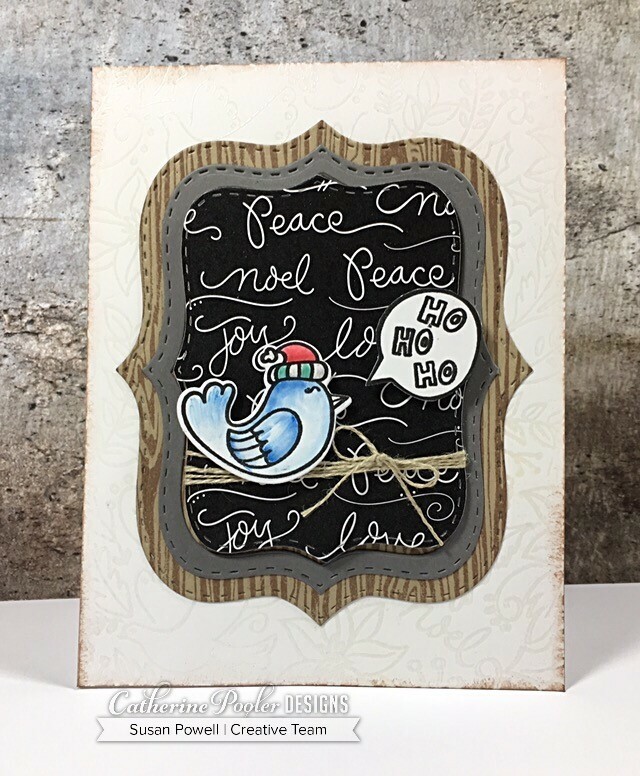 The card base is stamped with the Peace, Love & Dies Background stamp in versamark ink and then heat set with clear embossing powder. I stamped the Woodgrain Background Stamp with Over Coffee ink onto Sand Dunes cardstock. Using the Nested Label Dies I cut three labels - one from the stamped Sand Dunes piece, the designer paper and one from a piece of Smoke cardstock. 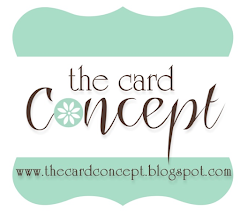 The images are stamped onto white cardstock with Midnight ink and then colored in with a blender pen. This one was really quick to make. 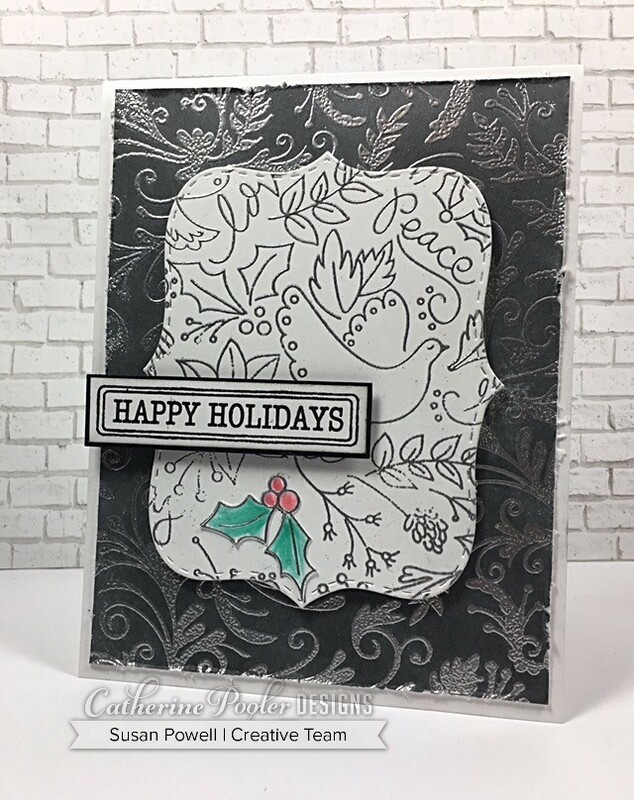 I stamped the Flourishes Background stamp with versamark ink onto Smoke cardstock and heat set with silver embossing powder. I stamped the Peace, Love & Dies Background stamp with versamark ink onto white paper, heat set it with silver embossing powder and then die cut it with one of the Nested Labels Dies. I colored in one of the holly and berries and then added a sentiment. 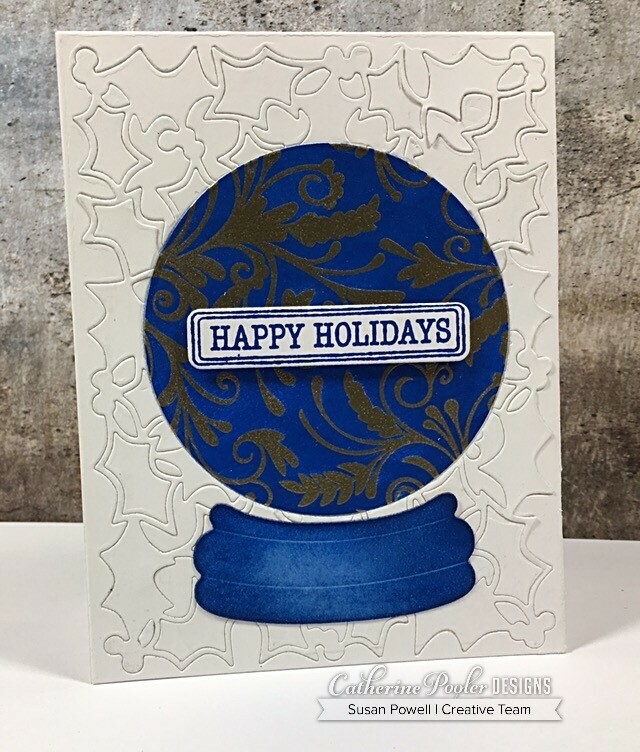 I used the Holly & Berries Cover Plate Die on white cardstock and using the circle die from the Snow Globe Dies I cut out a circle and filled it with a piece that was stamped with the Flourishes Background Stamp with versamark ink and heat set with gold embossing powder. I die cut the base of the globe and sponged it and the circle with Suede Shoes Ink. I used a cloth to wipe off the excess ink from the embossed piece. A simple sentiement and this one's finished. 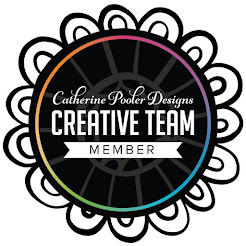 Be sure to leave a comment at all the stops on the hop because Catherine is giving away a $25 Gift Certificate to use in her store. The winner will be announced on Oct. 22nd on Catherine's blog. Love that blue snow globe!! Beautiful cards, especially the blue snow globe! Really creative cards. Love that blue snow globe and the wood grain border. Love that Blue Ink. Beautiful cards, Susan!! I love how you made those bold sentiments into a Christmas tree!! Great cards! I think my favorite is that pretty watercolor tree - so creative! Gorgeous cards! Love the blue snow globe, awesome. 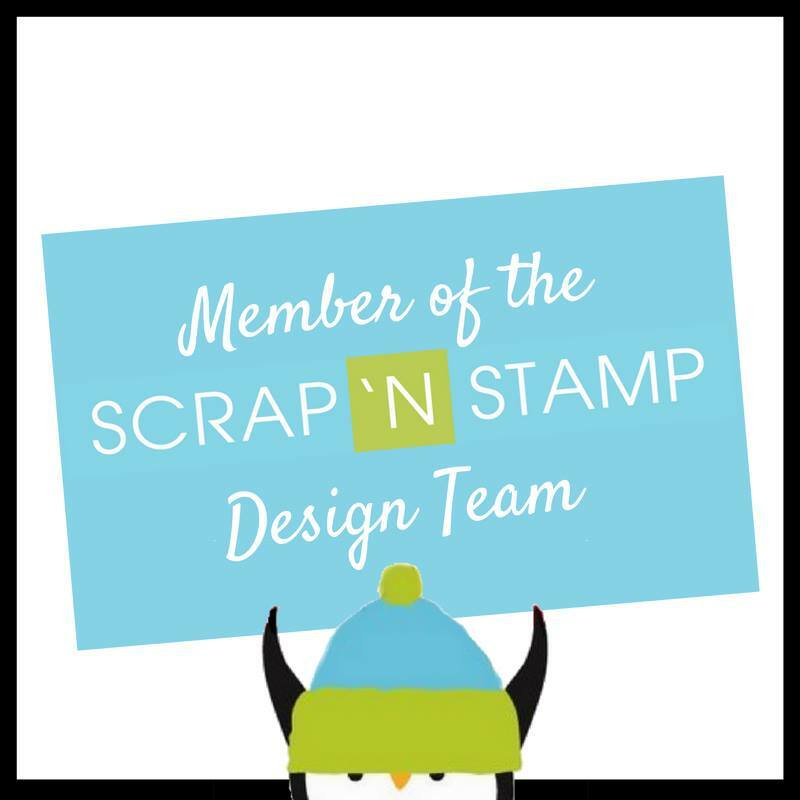 Thank you for sharing and being a part of this awesome blog hop. Really a great collection and beautiful inks also. Beautiful cards! Love how you used the words to form a tree on the first one. Thanks for sharing! I love that flourish background! Beautiful cards. Beautiful cards! I love the watercolored tree! Great job thinking outside the box on your word tree. This is a fabulous holiday release and your cards are stunning! 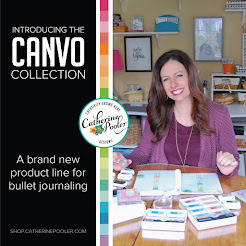 I am really looking forward to that flourish background stamp as well as the patterned papers. Gorgeous cards! Love the first one! Wow Susan, amazing cards! Suede shoes ink-gorgeous! Oh wow, really beautiful cards, thanks for sharing. So many great cards and ideas. So many great ideas, Susan! I LOVE the first one where you watercoloured a tree over the words. And did you cut the label from the next card from the area behind the tree panel?? Very thrifty. Great use of this new release. Fabulously creative and festive cards! Beautiful designs. Gorgeous cards. Real creativity. Thanks for sharing. Nice cards. So many great ideas. These are beautiful! 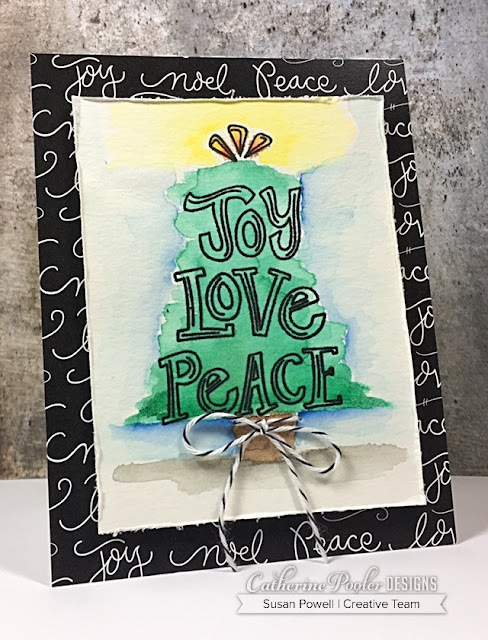 I love the word sentiments stacked for the tree, and it looks gorgeous on the black background!! Love how you have mixed and matched the products of the new release. 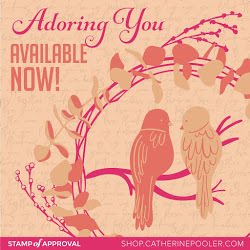 Your sentiment tree is so fun and your sweet bird card is adorable. Beautiful cards. I love the styles and the colors are gorgeous. Joy Love Peace is calling out to me to make! Thanks for the ideas! Four amazing cards for this new release. I loved them all and how simple they seem to be to make. Lovely cards! I especially love how you made the tree from the sentiments. The font on the sentiments is really unique and fun. Such wonderful cards. Great design and creativity. Your watercolor tree is soooo awesome! Beautiful creations! Beautiful cards! I really love the last one with the pretty snowglobe and the awesome holly design background! Winterhaven is in The Store! Masculine Monday #72 You Fox!